Being great at just one aspect of life is not enough for the cheerleaders at Blackman High School. As the team works for their third straight Small Varsity Coed title, the team and coaches are demanding excellence in everything that they do. 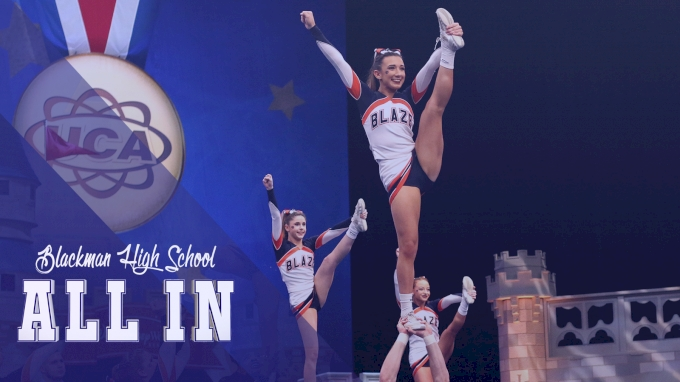 All In: Blackman High School is a two-part documentary that follows the Blackman Varsity Coed cheer team through their journey at 2019 UCA National High School Cheerleading Championship. In Episode 1, we meet the team and the powerhouse coaching duo as they arrive in Orlando, FL and take on Semi-Finals of the NHSCC.